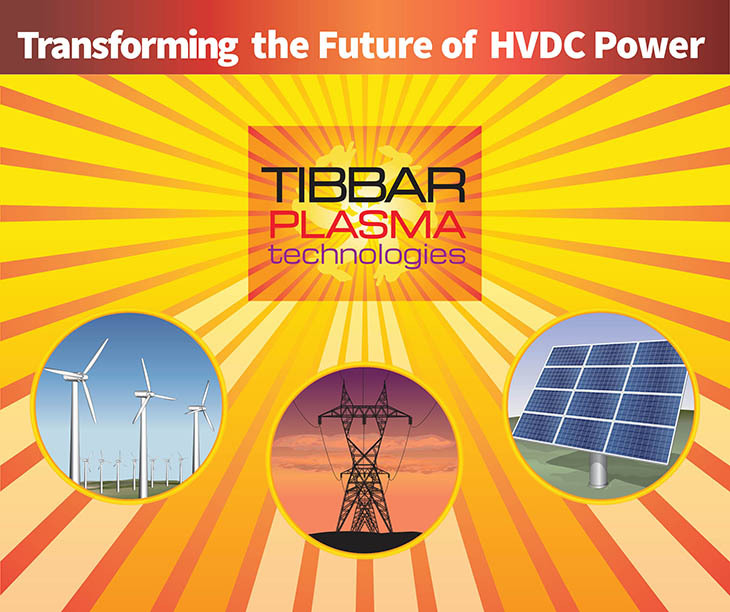 Expo – Tibbar Plasma Technologies, Inc.
Tibbar Plasma Technologies, Inc. will be one of a select group of energy innovators at the Advanced Research Projects Agency-Energy’s (ARPA-E) Energy Innovation Summit. From February 27th to March 1st in Washington, D.C., the Summit will display the latest cutting edge technologies and bring entrepreneurs together with investors to help turn ideas into reality. As an ARPA-E award winner receiving 3.5 million in funding, TPTI will be featured in the Technology Showcase at this year’s Summit. Each exhibitor in the Showcase is vetted to insure that only the most promising technologies are on display. Company president Dr. Richard Nebel will man our booth and spread the word about our new HVDC plasma-based electrical transformers. Tibbar transformers will provide efficiency due to a more compact size and fewer moving parts compared to the current technology (solid state electronics). In addition to providing a venue to display the latest energy innovations, the Summit will bring together America’s brightest scientists and entrepreneurs with investors. By following a tech-to-market model, attendees can increase their chances of creating marketable products from their prototype inventions. This networking opportunity will help us find additional sources of funding to transition from prototype to production models. Anyone interested in attending can visit the Registration page to sign up. We hope to see you there! Los Alamos based company, Tibbar Plasma Technologies Inc, announced today that it was awarded $3.5 million in funding from the U.S. Department of Energy’s Advanced Research Projects Agency-Energy (ARPA-E). The funding will be used to develop plasma-based AC-DC electrical transformers for High Voltage DC Electrical Transmission. “Plasma-based electrical transformers have the potential to reduce the cost of transforming power by a factor of 2x-10x. This is a disruptive technology that will make long distance transmission of electricity a lot more affordable. This is particularly important for states like New Mexico that are developing renewable energy to export to more populous states,” said Rick Nebel, owner of Tibbar Plasma Technologies Inc.
Tibbar Plasma Technologies is a company dedicated to developing plasma technologies for commercial applications. Its staff is composed of plasma theorists, plasma experimentalists, engineers and technicians. Many of its employees are retirees or former employees of Los Alamos National Laboratory. Tibbar Plasma Technologies received this competitive award from ARPA-E’s OPEN 2015 program, which serves as an open call to scientists and engineers for transformational technologies outside the scope of ARPA-E’s existing focused programs. Through both open and focused solicitations, ARPA-E funds technologies that display technical promise and commercial impact but are too early for private-sector investment. Tibbar Technologies will develop an AC-DC transformer that uses no capacitors or semiconductor switches. The device will rely on helical coils that induce output current and voltage through electrodes at the ends of plasma. The resulting devices have the potential to be half the cost and yield power densities 10x higher than state-of-the-art transformers, potentially providing an innovative new enabling technology for HVDC transmission. For additional information about ARPA-E, visit the ARPA-E website. View the original Los Alamos Daily Post article.